Government policies are imposing "excessive costs" on airlines in India and infrastructure constraints are limiting growth, IATA chief Alexandre de Juniac said Tuesday even as he projected the country's aviation sector to register 500 million passengers by 2037. Flagging various concerns about the Indian aviation sector, which is one of the fastest growing in the world, he said levying the Goods and Services Tax (GST) on international air tickets violates ICAO principles. 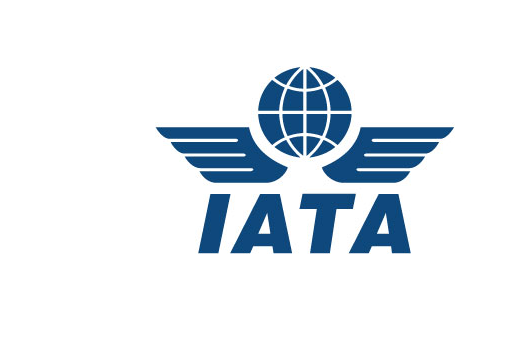 The head of the IATA, a grouping of more than 280 airlines, also said the steep rise in fuel prices and fall in the rupee value are putting "acute pressure on profits" of airlines. Air India, Jet Airways and Vistara are also IATA members. In India, infrastructure constraints limit growth while government policies impose excessive costs, he added. "If we can comprehensively fix jet fuel and infrastructure issues, India will be primed to take a giant step forward in the world of aviation," he said at a conference here. "We have long made our case that applying GST to international tickets violates ICAO principles and India's international obligations," de Juniac said. Further, he said these deviations from global standards may have a short-term revenue benefit for the government but it weakens India's competitiveness by raising the cost of connectivity. The ICAO is a global aviation watchdog. At present, 5 per cent and 12 per cent Goods and Services Tax (GST) is levied on the economy and business class air tickets, respectively. While fuel accounts for about 24.2 per cent of an average airline's cost structure, the IATA chief said that in India, it is 34 per cent and pitched for regulating "transparency in pricing of jet fuel". "All airlines are suffering from the rise in fuel prices. And India's regulatory and tax framework around fuel hits airlines serving this market even harder," he noted. There is no real competition for fuel suppliers at airports and hence there is little incentive to keep prices competitive, he said, adding that on domestic flights, "fuel is subject to excise duties and state taxes of up to 30 per cent". "The lack of competition in fuel and lack of true open-access to on-airport fuel infrastructure is strangling the lifeblood from the airlines. "If you kill the goose that lays golden eggs, there are no more eggs!," de Juniac said. On bringing jet fuel under the Goods and Services Tax (GST), Minister of State for Civil Aviation Jayant Sinha said complicated federal issues have to be sorted out. The Aviation Turbine Fuel (ATF) is also a very large revenue generator for states and there are "complicated federal issues," that need to be sorted out to bring it under the GST, he said at the conference organised by the IATA and the Airports Authority of India (AAI). The chief of the International Airport Transport Association (IATA) said that by 2037, it expects 500 million passengers to "travelling to, from and within India" which is treble that of today's numbers. Noting that "band-aid" solutions would not do the job in addressing the infrastructure problems in the aviation sector, de Juniac said that privatisation of airports must balance the interests of passengers, airlines and the community. Citing "bitter experiences" of Brazil and Australia, de Juniac said that selecting the company that simply proposes the highest concession fee does not yield good long-term results. India's civil aviation sector has recorded 50 months of double-digit growth and it can be "very easily maintain (that) for next 50 months, provided that all nuts and bolts are in place", Civil Aviation Secretary R N Choubey said.